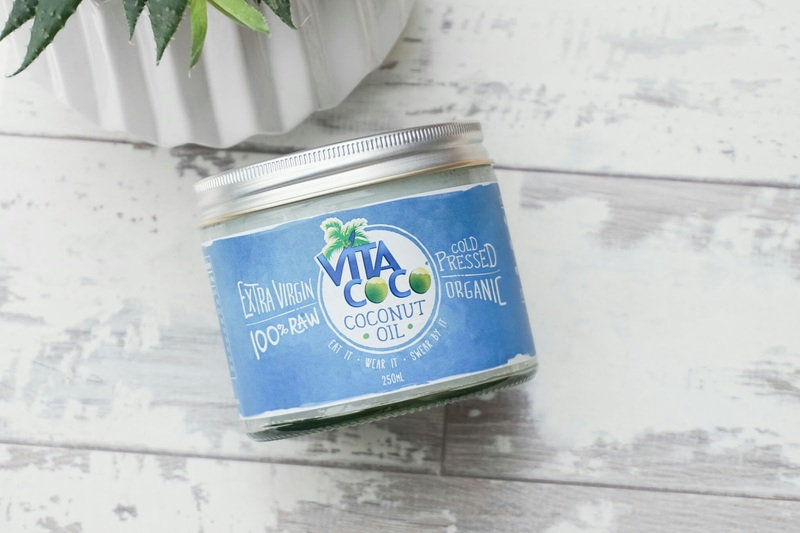 I'd heard good reports on using coconut oil as a cleanser so I grabbed myself a tub of the Vita Coco coconut oil on a recent supermarket shop for a purse-friendly £5.99 for 250ml and it's changed my cleansing routine SO much. I love it! Not only that, I've also been using it for a manner of other bits. Who doesn't love a good multi-purpose product these days, eh? Face scrub - mix equal parts coconut oil with equal parts sugar for a dreamy face scrub that smells like heaven. Lip balm - stick your mouth in that jar and get it all over your lips - it's lush. Nah, really. Cuticle oil - slippy hands but DAMN it's good. Shave cream or post-shave lotion - plus you'll smell like a giant Bounty, why wouldn't you? Hair mask - stop spending £6 every time you need a new hair mask, simply warm some coconut oil either in your hands or do what I do and put your jar in a sink of shallow warm water and work some oil through your hair - usually I just use it on my ends. Have you been converted to coconut oil in your beauty routine yet? I'm never without coconut oil now that I know how amazing it is! I love it as a cleanser and a moisturiser! I absolutely love coconut oil!